380.1249 Performance evaluation system for teachers and school administrators; requirements; posting information about evaluation tools on public website; effect of collective bargaining agreement; establishment and maintenance of list of teacher evaluation tools; rules; training to be paid from educator evaluation reserve fund; operation or applicability of MCL 380.1248 not affected; "teacher" defined. (a) Evaluates the teacher's or school administrator's job performance at least annually while providing timely and constructive feedback. (b) Establishes clear approaches to measuring student growth and provides teachers and school administrators with relevant data on student growth. (c) Evaluates a teacher's or school administrator's job performance, using multiple rating categories that take into account student growth and assessment data. Student growth must be measured using multiple measures that may include student learning objectives, achievement of individualized education program goals, nationally normed or locally developed assessments that are aligned to state standards, research-based growth measures, or alternative assessments that are rigorous and comparable across schools within the school district, intermediate school district, or public school academy. If the performance evaluation system implemented by a school district, intermediate school district, or public school academy under this section does not already include the rating of teachers as highly effective, effective, minimally effective, and ineffective, then the school district, intermediate school district, or public school academy shall revise the performance evaluation system not later than September 19, 2011 to ensure that it rates teachers as highly effective, effective, minimally effective, or ineffective. (i) The effectiveness of teachers and school administrators, ensuring that they are given ample opportunities for improvement. (ii) Promotion, retention, and development of teachers and school administrators, including providing relevant coaching, instruction support, or professional development. (iii) Whether to grant tenure or full certification, or both, to teachers and school administrators using rigorous standards and streamlined, transparent, and fair procedures. (iv) Removing ineffective tenured and untenured teachers and school administrators after they have had ample opportunities to improve, and ensuring that these decisions are made using rigorous standards and streamlined, transparent, and fair procedures. (i) For the 2015-2016, 2016-2017, and 2017-2018 school years, 25% of the annual year-end evaluation shall be based on student growth and assessment data. Beginning with the 2018-2019 school year, 40% of the annual year-end evaluation shall be based on student growth and assessment data. (ii) Beginning with the 2018-2019 school year, for core content areas in grades and subjects in which state assessments are administered, 50% of student growth must be measured using the state assessments, and the portion of student growth not measured using state assessments must be measured using multiple research-based growth measures or alternative assessments that are rigorous and comparable across schools within the school district, intermediate school district, or public school academy. Student growth also may be measured by student learning objectives or nationally normed or locally adopted assessments that are aligned to state standards, or based on achievement of individualized education program goals. (iii) Beginning with the 2016-2017 school year, the portion of a teacher's annual year-end evaluation that is not based on student growth and assessment data, as described under subparagraph (i), shall be based primarily on a teacher's performance as measured by the evaluation tool developed or adopted by the school district, intermediate school district, or public school academy under subdivision (f). (iv) The portion of a teacher's evaluation that is not measured using student growth and assessment data, as described under subparagraph (i), or using the evaluation tool developed or adopted by the school district, intermediate school district, or public school academy, as described under subparagraph (iii), shall incorporate criteria enumerated in section 1248(1)(b)(i) to (iii) that are not otherwise evaluated under subparagraph (i) or (iii). (b) If there are student growth and assessment data available for a teacher for at least 3 school years, the annual year-end evaluation shall be based on the student growth and assessment data for the most recent 3-consecutive-school-year period. If there are not student growth and assessment data available for a teacher for at least 3 school years, the annual year-end evaluation shall be based on all student growth and assessment data that are available for the teacher. (c) The annual year-end evaluation shall include specific performance goals that will assist in improving effectiveness for the next school year and are developed by the school administrator or his or her designee conducting the evaluation, in consultation with the teacher, and any recommended training identified by the school administrator or designee, in consultation with the teacher, that would assist the teacher in meeting these goals. For a teacher described in subdivision (d), the school administrator or designee shall develop, in consultation with the teacher, an individualized development plan that includes these goals and training and is designed to assist the teacher to improve his or her effectiveness. (i) The midyear progress report shall be based at least in part on student achievement. (ii) The midyear progress report shall be aligned with the teacher's individualized development plan under subdivision (c). (iii) The midyear progress report shall include specific performance goals for the remainder of the school year that are developed by the school administrator conducting the annual year-end evaluation or his or her designee and any recommended training identified by the school administrator or designee that would assist the teacher in meeting these goals. At the midyear progress report, the school administrator or designee shall develop, in consultation with the teacher, a written improvement plan that includes these goals and training and is designed to assist the teacher to improve his or her rating. (iv) The midyear progress report shall not take the place of an annual year-end evaluation. (i) A classroom observation shall include a review of the teacher's lesson plan and the state curriculum standard being used in the lesson and a review of pupil engagement in the lesson. (ii) A classroom observation does not have to be for an entire class period. (iii) Unless a teacher has received a rating of effective or highly effective on his or her 2 most recent annual year-end evaluations, there shall be at least 2 classroom observations of the teacher each school year. Beginning with the 2016-2017 school year, at least 1 observation must be unscheduled. (iv) Beginning with the 2016-2017 school year, the school administrator responsible for the teacher's performance evaluation shall conduct at least 1 of the observations. Other observations may be conducted by other observers who are trained in the use of the evaluation tool that is used under subdivision (f). These other observers may be teacher leaders. (v) Beginning with the 2016-2017 school year, a school district, intermediate school district, or public school academy shall ensure that, within 30 days after each observation, the teacher is provided with feedback from the observation. 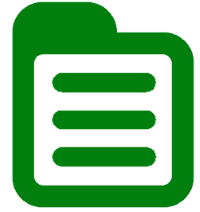 (f) For the purposes of conducting annual year-end evaluations under the performance evaluation system, by the beginning of the 2016-2017 school year, the school district, intermediate school district, or public school academy shall adopt and implement 1 or more of the evaluation tools for teachers that are included on the list under subsection (5). However, if a school district, intermediate school district, or public school academy has 1 or more local evaluation tools for teachers or modifications of an evaluation tool on the list under subsection (5), and the school district, intermediate school district, or public school academy complies with subsection (3), the school district, intermediate school district, or public school academy may conduct annual year-end evaluations for teachers using 1 or more local evaluation tools or modifications. The evaluation tools shall be used consistently among the schools operated by a school district, intermediate school district, or public school academy so that all similarly situated teachers are evaluated using the same evaluation tool. (g) The performance evaluation system shall assign an effectiveness rating to each teacher of highly effective, effective, minimally effective, or ineffective, based on his or her score on the annual year-end evaluation described in this subsection. (h) As part of the performance evaluation system, and in addition to the requirements of section 1526, a school district, intermediate school district, or public school academy is encouraged to assign a mentor or coach to each teacher who is described in subdivision (d). (i) The performance evaluation system may allow for exemption of student growth data for a particular pupil for a school year upon the recommendation of the school administrator conducting the annual year-end evaluation or his or her designee and approval of the school district superintendent or his or her designee, intermediate superintendent or his or her designee, or chief administrator of the public school academy, as applicable. (j) The performance evaluation system shall provide that, if a teacher is rated as ineffective on 3 consecutive annual year-end evaluations, the school district, public school academy, or intermediate school district shall dismiss the teacher from his or her employment. This subdivision does not affect the ability of a school district, intermediate school district, or public school academy to dismiss a teacher from his or her employment regardless of whether the teacher is rated as ineffective on 3 consecutive annual year-end evaluations. (k) The performance evaluation system shall provide that, if a teacher is rated as highly effective on 3 consecutive annual year-end evaluations, the school district, intermediate school district, or public school academy may choose to conduct a year-end evaluation biennially instead of annually. However, if a teacher is not rated as highly effective on 1 of these biennial year-end evaluations, the teacher shall again be provided with annual year-end evaluations. (l) The performance evaluation system shall provide that, if a teacher who is not in a probationary period prescribed by section 1 of article II of 1937 (Ex Sess) PA 4, MCL 38.81, is rated as ineffective on an annual year-end evaluation, the teacher may request a review of the evaluation and the rating by the school district superintendent, intermediate superintendent, or chief administrator of the public school academy, as applicable. The request for a review must be submitted in writing within 20 days after the teacher is informed of the rating. Upon receipt of the request, the school district superintendent, intermediate superintendent, or chief administrator of the public school academy, as applicable, shall review the evaluation and rating and may make any modifications as appropriate based on his or her review. However, the performance evaluation system shall not allow for a review as described in this subdivision more than twice in a 3-school-year period. (m) Beginning with the 2016-2017 school year, the school district, intermediate school district, or public school academy shall provide training to teachers on the evaluation tool or tools used by the school district, intermediate school district, or public school academy in its performance evaluation system and on how each evaluation tool is used. This training may be provided by a school district, intermediate school district, or public school academy, or by a consortium consisting of 2 or more of these. (n) Beginning with the 2016-2017 school year, a school district, intermediate school district, or public school academy shall ensure that training is provided to all evaluators and observers. The training shall be provided by an individual who has expertise in the evaluation tool or tools used by the school district, intermediate school district, or public school academy, which may include either a consultant on that evaluation tool or framework or an individual who has been trained to train others in the use of the evaluation tool or tools. This subdivision does not prohibit a school district, intermediate school district, public school academy, or consortium consisting of 2 or more of these, from providing the training in the use of the evaluation tool or tools if the trainer has expertise in the evaluation tool or tools. (d) The evaluation frameworks and rubrics with detailed descriptors for each performance level on key summative indicators. (e) A description of the processes for conducting classroom observations, collecting evidence, conducting evaluation conferences, developing performance ratings, and developing performance improvement plans. (f) A description of the plan for providing evaluators and observers with training. (4) If a collective bargaining agreement was in effect for teachers or school administrators of a school district, public school academy, or intermediate school district as of July 19, 2011, if that same collective bargaining agreement is still in effect as of November 5, 2015, and if that collective bargaining agreement prevents compliance with subsection (1), then subsection (1) does not apply to that school district, public school academy, or intermediate school district until after the expiration of that collective bargaining agreement. (5) The department shall establish and maintain a list of teacher evaluation tools that have demonstrated evidence of efficacy and that may be used for the purposes of this section. That list initially shall include at least the evaluation models recommended in the final recommendations released by the Michigan council on educator effectiveness in July 2013. The list shall include a statement indicating that school districts, intermediate school districts, and public school academies are not limited to only using the evaluation tools that are included on the list. A school district, intermediate school district, or public school academy is not required to use an evaluation tool for teacher evaluations that is the same as it uses for school administrator evaluations or that has the same author or authors as the evaluation tool it uses for school administrator evaluations. The department shall promulgate rules establishing standards and procedures for adding an evaluation tool to or removing an evaluation tool from the list. These rules shall include a process for a school district, intermediate school district, or public school academy to submit its own evaluation tool for review for placement on the list. (6) The training required under subsection (2) shall be paid for from the funds available in the educator evaluation reserve fund created under section 95a of the state school aid act, MCL 388.1695a. (7) This section does not affect the operation or applicability of section 1248. (8) As used in this section, "teacher" means an individual who has a valid Michigan teaching certificate or authorization or who is engaged to teach under section 1233b; who is employed, or contracted for, by a school district, intermediate school district, or public school academy; and who is assigned by the school district, intermediate school district, or public school academy to deliver direct instruction to pupils in any of grades K to 12 as a teacher of record. Compiler's Notes: Former MCL 380.1249, which pertained to review of official transcripts and procedures for changing grades, was repealed by Act 289 of 1995, Eff. July 1, 1996.For transfer of powers and duties of governor's council on educator effectiveness to department of technology, management and budget, and renaming to Michigan council for educator effectiveness, see E.R.O. No. 2012-2, compiled at MCL 18.444.